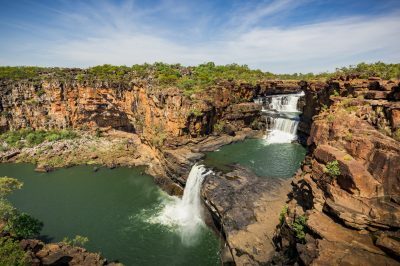 Mitchell Falls is a ‘must see’ during Waterfall Season. Her staircase-like cascades in full flow are a sight to behold from land, and even more spectacular by air. 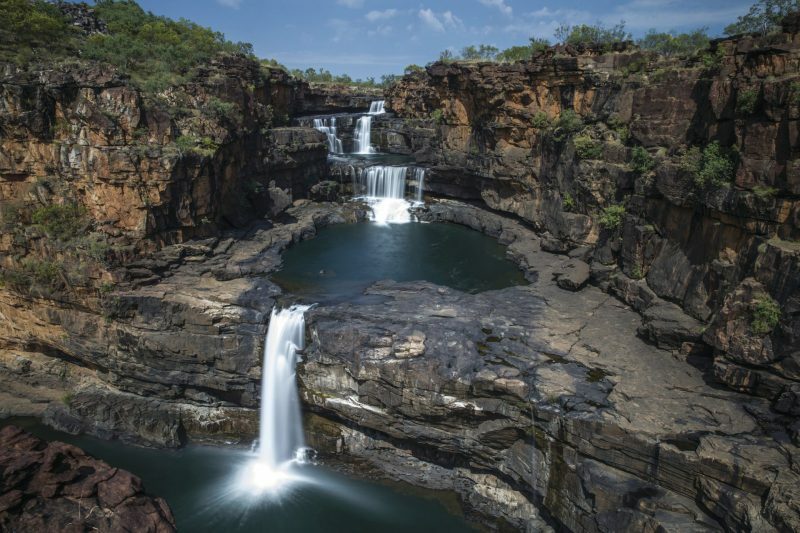 Set among the jaw-dropping beauty of the Mitchell Plateau, – a 4WD’ers dream – Mitchell Falls is just one of many cascades in Mitchell River National Park, so have your camera on the ready! 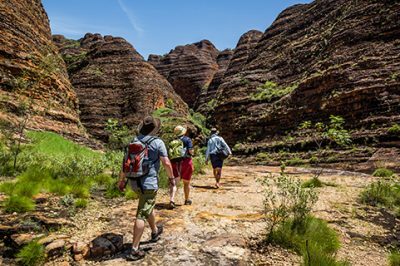 A hike to Mitchell Falls provides plenty of opportunity to view indigenous flora, fauna, and birdlife, as well as ancient Aboriginal rock art sites. We love Mitchell Falls for her showstopping ‘wow’ factor! 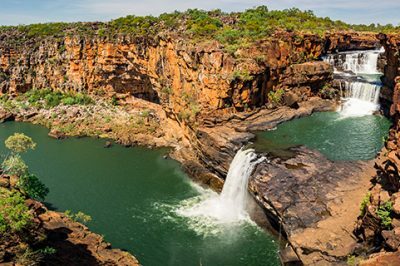 Trust us when we say you don’t want to miss Mitchell Falls. 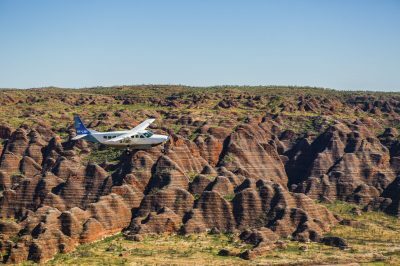 There’s a reason why it’s one of the most photographed attractions across the Kimberley – her cascades are breathtakingly beautiful from land, and even more spectacular by air. If you’re self-driving to Mitchell Falls, you’re in for a real adventure. 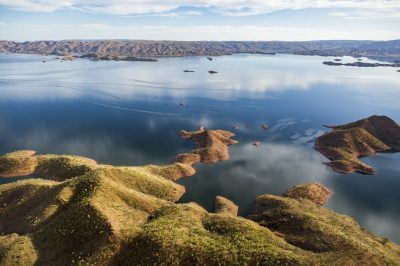 The unsealed road to Mitchell Plateau presents a challenging drive but you’ll be rewarded with a stunning ever-changing landscape where rainforests and crops of Livistona palms give way to eucalypt forests, home to countless species of unique flora and fauna. 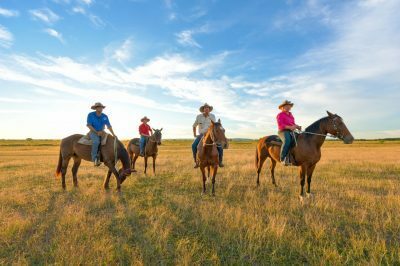 You’ll get a chance to see wildlife up close and personal if you hike the 4.5 kilometre trail that leads from Mitchell Falls Campground to Mitchell Falls. 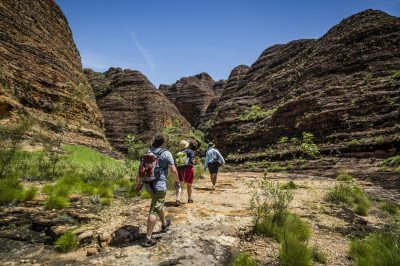 Along one of the most remote and beautiful bushwalks in the world you’ll pass several other cascades, shady rock pools, wildflowers and birdlife, and pockets of tropical rainforest. 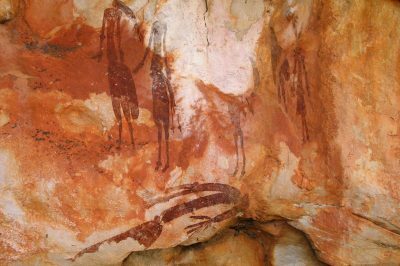 You’ll also catch a glimpse of the enigmatic Bradshaw Rock Art. 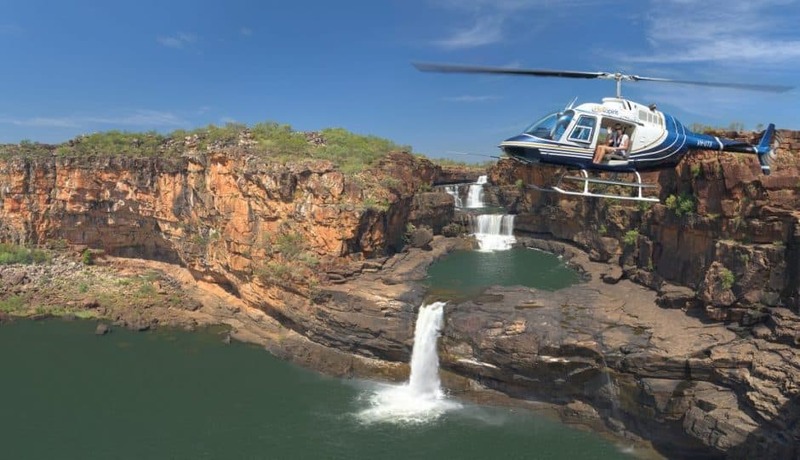 For the ultimate tick off your Kimberley bucket list, take a scenic flight over Mitchell Falls and the surrounding coastline and countryside. 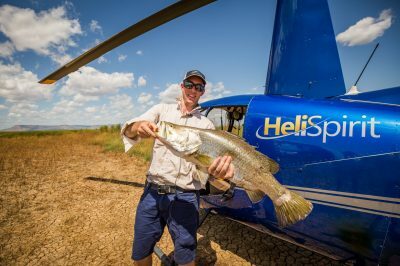 Award-winning charter flight and helicopter tour companies Aviair and HeliSpirit operate a number of tours departing from Kununurra and the Mitchell Falls Campground. The view from above is nothing short of spectacular. No car? No problem. Ask us about the full day tours Aviair offer to Mitchell Falls. Lunch is included, and you’ll have ample time to hike the trail, explore the falls, and cool off with a refreshing dip in one of the many pools. 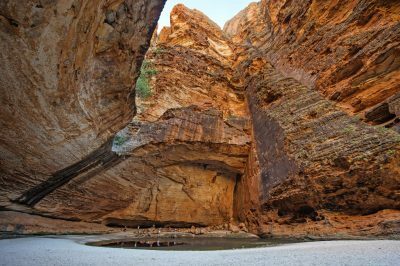 Top Tip: Take a peek behind Little Merten Falls and you’ll discover an ancient Bradshaw Rock Art site! As you’d expect with such a remote location, accommodation choices are limited. 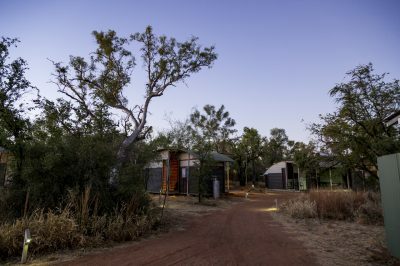 For the campers, Mitchell Falls Campground is a very large campsite with toilet facilities, and for those looking for a little more luxury, Mitchell Falls Wilderness Lodge is glamping at its best! 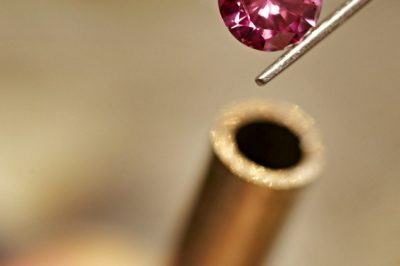 Well-appointed tent-style accommodation that blends seamlessly with the environment. 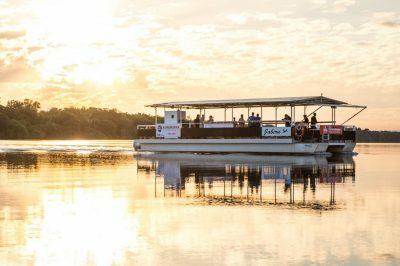 You’ll also be spoiled with a restaurant and bar to enjoy a hearty meal after a long day’s exploration. 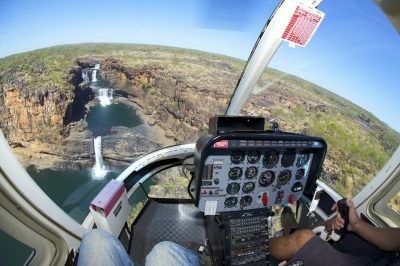 Which tours and experiences will you add to your Mitchell Falls wish list? 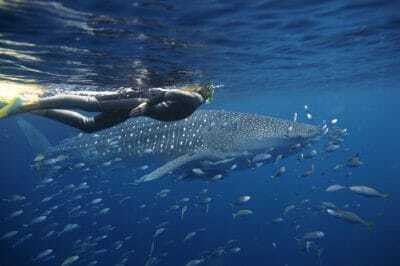 Explore below …. 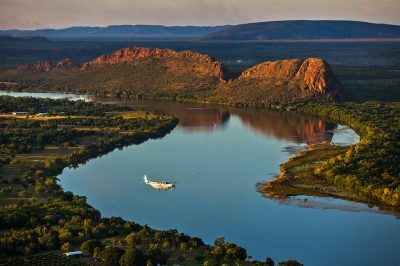 Mitchell River National Park, far North Kimberley. 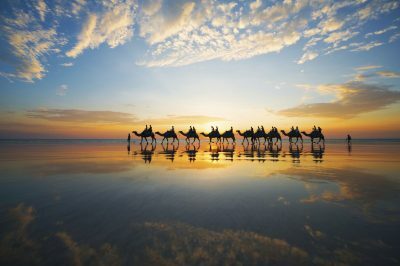 The Dry Season (April-September) is best for accessibility by 4WD. Waterfall Season (Oct-May) is the optimal time to view the Falls at full cascade by air. 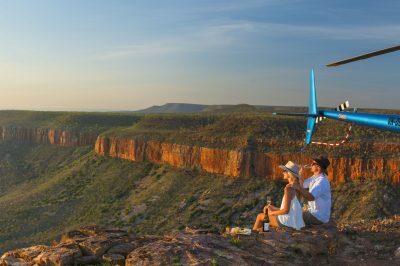 Overnight if camping, otherwise a day tour /scenic flight from Kununurra is highly recommended. Campground at Mitchell River National Park or Mitchell Falls Wilderness Lodge. May to October – Unsealed roads with creek crossings, suited for high-clearance 4WDs and off-road campers. 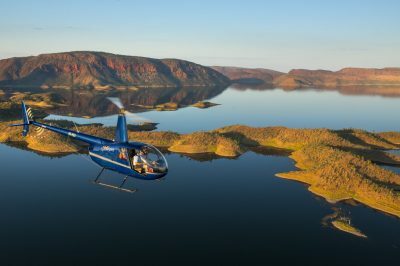 Helicopter and charter flights, as well as air safari options depart from Kununurra. 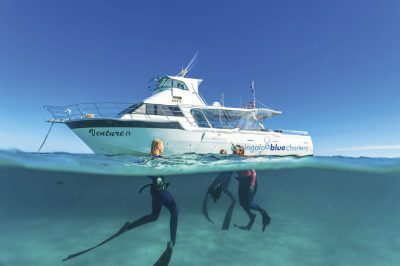 Magnificent cascades, stunning scenery, rockpools, birdlife, flora and fauna. 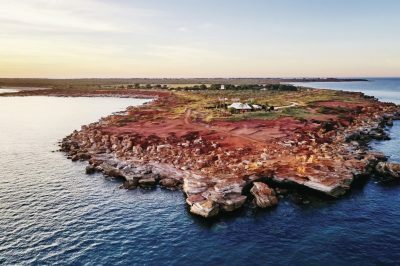 An aerial view like nowhere else on earth!